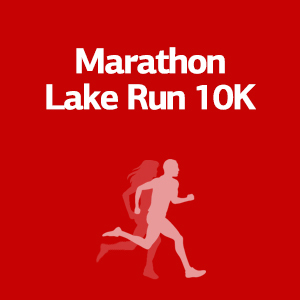 The “Marathon Lake Run” is a new upcoming running event taking place in Lake Marathon, the huge man-made reservoir formed by the Marathon Dam. Runners can enjoy unparalleled physical beauty as the sight of the water contrasts with the startling green of the surrounding pine tree forest. 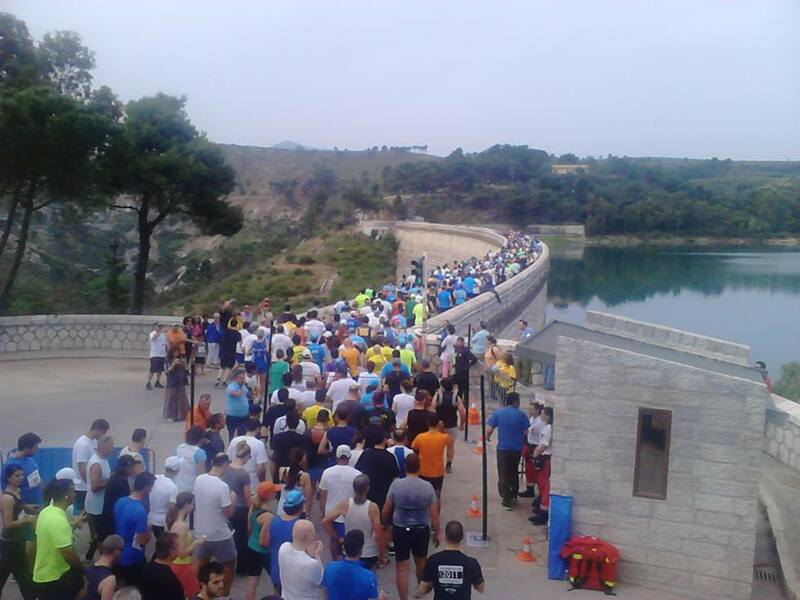 The artificial Lake Marathon is the only dam in the world said to be faced with real marble. Welcome to the “Marathon Lake Run 10K” offering the chance to enjoy the Greek sunny weather and one of the ten remaining wetlands of Attica, of prominent importance, due to the diversity of species accommodated. Participating in “Marathon Lake Run 10K” provides a remarkable occasion for runners to run along the beautiful Marathon Dam and enjoy the sight of all that landlocked water. Registration is open until Friday, 13th of May 2016 or until a specific number of applications is reached. The first 3 males and females of each race will be given a cup award. All participants in all runs will receive a commemorative medal. All participants will be timed using an electronic timing system. For this reason, the runners must wear the timing chip they will receive from the registration center together with the participation number. Attention: Your time will not be registered and will not be included in the results if you do not have the timing chip attached to your shoe and not pass over the timing mats. 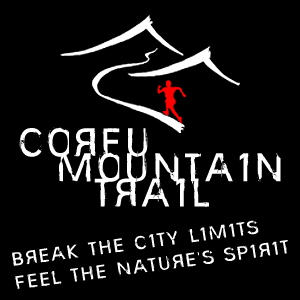 There will be aid stations at the 3.5km, 7km and at the Finish line. The Simple offer is addressed to those who wish to come and stay in Athens on their own. This offer is ideal for those who want to experience Athens the “running way”, and get the most out of their visit in Athens. We have selected the ideal locations for you, and we will suggest you the ideal vacation plan. 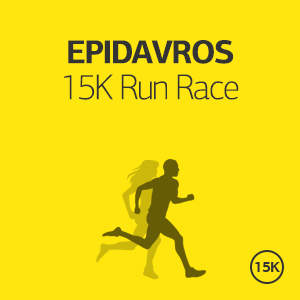 This offer is ideal for those who want to experience Athens the “running way”, and get the most out of their visit in Athens. We have selected the ideal locations for you, and we will suggest you the ideal vacation plan. - Safe keeping of clothing and personal belongings during the race. It starts from €80 per person (runner or not) for a two days/one-night accommodation in Athens Way Hotel & Apartments. If you wish to stay longer, you may add as many nights as you want for an additional €40 per night per person. It starts from €95 per person (runner or not) for a two days/one-night accommodation in Acropolis museum boutique hotel. If you wish to stay longer, you may add as many nights as you want for an additional €55 per night per person. It starts from €110 per person (runner or not) for a two days/one-night accommodation in Athens Gate Hotel. If you wish to stay longer, you may add as many nights as you want for an additional €70 per night per person. It starts from €115 per person (runner or not) for a two days/one-night accommodation in Electra Hotel Athens. If you wish to stay longer, you may add as many nights as you want for an additional €75 per night per person. - We also offer you One Day Cruise to 3 Islands, One Day Trip to Olympia and other trips at exclusive prices! - We can also offer you recovering training at the Olympic Stadium of Athens. - Airfare is not included. In Travel Offers we have handpicked our favorite locations, destinations, and activities to make this trip an unforgettable experience to you. However, we understand that you might want to make your own search and selection. This is why we have gathered in one place all available accommodation options from all different providers. From 5 star hotels to Airbnb small apartments you can find everything here. Please be reminded that in all our Travel Offers event registration is either included or complimentary. Whatever your choice of traveling or accommodation we are here to support you! Marathon is a place where history meets the magic of nature. It serves as a memorial to the ancient struggle between the ancient Athenians and the invading Persians. Near the ancient battleground there is the single tomb of the 192 Athenian soldiers who died during that famous battle and the tomb where the dead Plataians, who helped the Athenians, were buried. Marathon visitors can be guided to monuments and artifacts through which, a unique period of 5000 years of civilization, is unfolded, from the Neolithic Age to the Roman era. From life in the cave of Oenoe and the early Helladic cemetery in Plasi, to the battle of Marathon in 490 BC and later until the works of Herodes Atticus and the Temple of the Egyptian gods in Brexiza. The Marathon Run Museum constitutes a pole of attraction for the city visitors, where 3.100 exhibits record the history of Marathon Run from 1896 up to today. It constitutes a unique athletic collection that could not be found elsewhere but at the birthplace of the marathon race. The exhibition is divided in two different partitions. In the first building, a travel in the Olympic Marathon's history is being held, while in the second building, the World Marathon Run movement is recorded, dedicated to the marathons, carried out in every corner of the planet, to Olympic champions, to the appearance of women participating in the marathons, even to the equipment of the marathon runners. Marathon is not just one of the most famous toponyms around the world, but also a city worth visiting and admiring for its natural beauty and enchanting atmosphere. 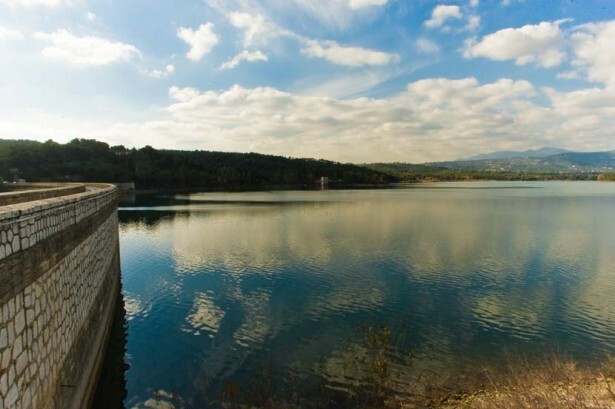 Marathon features an extraordinary natural landscape with its unique artificial lake of Attica (Marathon Dam), rich stretches of green, fertile plain and 12 km of sandy beach in its historical small harbour of Marathon. Nature endowed Marathon with many natural beauties, such as the gorge of Oinoe and the unique pine forest, one of the few in the Mediterranean, and the wetland of Schinias (National Park). It is worth noting that Lake Marathon and the National Park of Schinias are two of the ten remaining wetlands of Attica, of prominent importance, due to the diversity of species accommodated. The city that gave birth to one of the most popular events in the history of world sports could only be... breathing for sports and the magic of them. Marathon visitors can unfold their sporting talent ranging from football to kayak, with a range of sports facilities, some of which have nothing to envy the respective facilities of any major European city. The endless blue of the Evian Gulf and the waters of the Gulf of Schinias constitute a very popular diving destination for the lovers of the seabed. One of the most proficient diving schools in the country, Divers Club Marathon Bay, operates in Marathon. Moreover, Schinias Bay is suitable for high speeds and spectacular stunts, due to the strong winds blowing in the region, allying with the surfers for an enjoyable time. Visitors can enjoy a coffee with a view over the Dam of the Lake of Marathon, take a walk around the small port of Nea Makri and enjoy fresh fish, have a meal in one of the traditional taverns at Grammatiko. 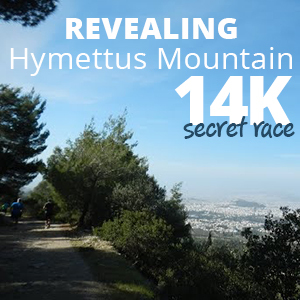 Marathon is located only 42 kilometers from Athens, thus visitors can enjoy both Marathon and Athens. Athens is a city with glorious history and vivid present. It is a magical city worshipped by gods and people with plenty historical monuments, such as Acropolis, the ancient Theatre of Dionysos , Odeion of Herodes Atticus, Olymbion, Roman Market, Panathinaiko Stadium or Kallimarmaro. Athens is a city of different aspects. A walk around the famous historic triangle, Plaka, Thission and Psyrri, the old neighborhoods, reveal the coexistence of different eras. It is worthwhile to take a stroll through the central streets with their art déco, art nouveau and antebellum buildings. Luxurious department stores and small intimate shops, fancy restaurants and traditional taverns, all have their place in this city. Visitors can also enjoy its nightlife. Athens by night totally changes. The options for entertainment satisfy all tastes varying from the famous bouzoukia, which are the leaders in the Athenian entertainment, to the numerous theaters all around Athens offering a different type of entertainment. Athens offers plenty of choices, since visitors can also explore its beautiful suburbs and neighborhoods, which are close to the historical center. The southern suburbs, located on the coast of the Saronic Gulf, such as Faliro, Glyfada, Voula and Vouliagmeni offer many opportunities to take a walk along the seaside, while you will also find many beautiful organized and free beaches, large shopping centers and nightclubs (especially during the summer). In the Maroussi suburb (north of the centre) are the facilities of the Olympic Athletic Centre of Athens, where the majority of the athletic events were held during the 2004 Athens Olympic Games. Halandri (next to Maroussi) is also worth a visit, with its beautiful street markets and stylish cafes and bars.